The fight against prescription drug abuse, “pill mills”, and doctor shopping cannot happen in only one state, every state needs to do their part and work together if real change is going to be seen. Currently, there are many states that have prescription drug monitoring systems in place, but, they are not linked together which means people can travel from state to stay in order to acquire the drugs they need either to feed their habit or to restock their inventory for business. Kentucky Governor Steve Beshear stated this week at the National Rx Drug Abuse Summit in Orlando that if we are going to make any progress in fighting this epidemic every state must link their prescription drug monitoring programs together. “No state or community is an island. 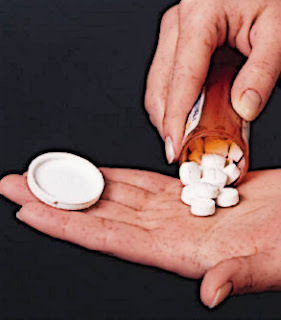 It will take all of us – working across geographical and agency borders – to make headway against prescription drug abuse,” Beshear said in a statement. He is urging legislators in Kentucky to pass a bill this week that would require pain management clinics to be owned by licensed physicians. The measure also would give the Attorney General control of prescription monitoring data. The state of Kentucky will be signing an agreement to share and receive prescription drug dispensing data with at least 20 other states, according to Beshear. The Kentucky All Schedule Prescription Electronic Reporting program will join the National Association of Board of Pharmacy’s Prescription Monitoring Program InterConnect.